Discover why Sao Paulo in Brazil ranked #93 in our countdown of ‘100 Most Incredible Cities in the World’. Its size – it’s the biggest city in Brazil – and its traffic; the average traffic jam on Friday evenings is 180 kilometres long, and up to 295 kilometres on really bad days. 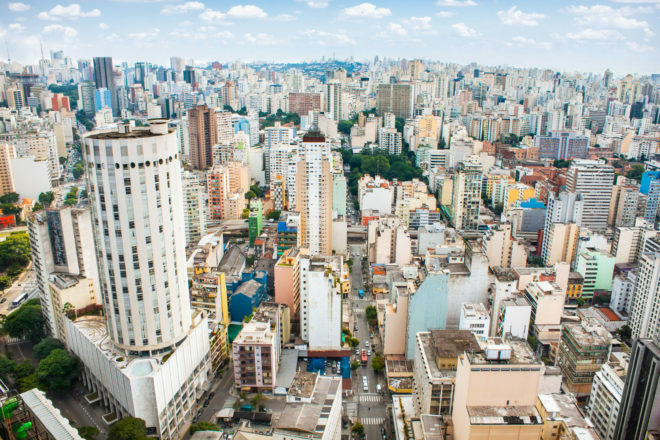 São Paulo is rising above its reputation for urban sprawl and developing a cool personality led by restaurateurs and artists. Mani has been ranked as one of the best restaurants in the world with its indoor/outdoor vibe and innovative menu. The city’s art scene is booming, with myriad minimalist whitewashed galleries dotted throughout. For an expansive take on Brazilian modern art head to Museu de Arte de São Paulo or for something completely new visit Galeria Choque Cultural for ‘pop, outsider and young art’.